As we all begin preparing for our trek to Vegas for CES 2015, I would like my young friends (born in the 70s, of course) to reflect on their impressions of the first episode of Lucas’s trilogy back in 1977. On my side, I perfectly remember thinking one day I would be Luke Skywalker. But instead of becoming Luke Skywalker a lot of us realized that we would have a bigger impact by inventing or engineering these technologies and by transforming early concepts into real products we all use today. As a result, smartphones and wireless connectivity are now in our everyday lives; the Internet of Things (IoT) is getting more popular in applications such as activity trackers that monitor personal metrics; and our kids are more used to touch screens than mice or keyboards, and cannot think of on-line gaming without gesture control. In fact, I just used voice recognition to upgrade the Wi-Fi plan from my Telco provider. But the journey is not over yet. Our generation has still to deliver an autonomous vehicle that is green, safe, and fun to control – I think the word “drive” will be obsolete for such a vehicle. 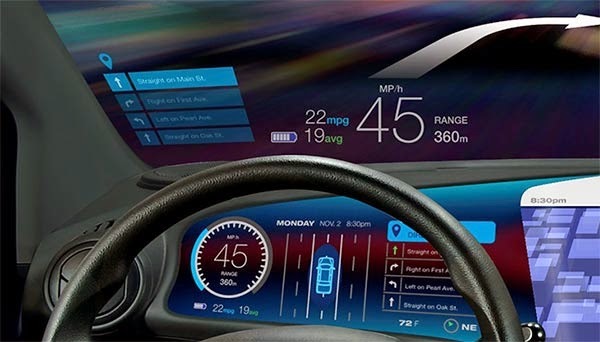 The automotive industry has taken several steps to achieve this exciting goal, including integration of advanced and connected in-car infotainment systems in more models as well as a number of technologies categorized under Advanced Driver Assistance Systems (ADAS) that can create a safer and unique driving experience. 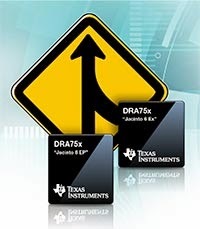 From more than a decade, Texas Instruments has invested in infotainment and ADAS: “Jacinto” and TDAx automotive processors as well as the many analog companion chips supporting these trends. "Jacinto 6 EP" and "Jacinto 6 Ex"
A unique approach of TI is our capability to leverage best of both worlds for non-safety critical features, and to provide a seamless integration of informational ADAS functions into existing infotainment systems so the vehicle better informs and warns the driver. We announced that capability at SAE Convergence in Detroit in October 2014 with the “Jacinto 6 Ex” processor (DRA756), which contains powerful CPU, graphics multimedia, and radio cores with differentiated vision co-processors, called embedded vision engines (EVE), and additional DSPs that perform the complex ADAS processing. For the TI’s automotive team, the CES 2015 show is even more exciting than in previous years, as we’ve taken our concept of informational ADAS to the next step. With joint efforts and hard work from both TI and QNX teams, we’ve together implemented a real informational ADAS system running the QNX CAR™ Platform for Infotainment on a “Jacinto 6 Ex” processor. I could try describing this system in detail, but just like the Star Wars movies, it’s best to experience our “Jacinto 6 Ex” and QNX CAR Platform-based system in person. Contact your TI or QNX representative today and schedule a meeting to visit our private suite at CES at the TI Village (N115-N119) or to immerse yourself in a combined IVI, cluster, megapixel surround view, and DLP® based HUD display with augmented reality running on a single “Jacinto 6 Ex” SoC demonstration. And don't forget to visit the QNX booth (2231), where you can see the QNX reference vehicle running a variety of ADAS and infotainment applications on “Jacinto 6” processors. Integrated cockpit featuring DLP powered HUD and QNX CAR Platform running on a single “Jacinto 6 Ex” SoC. One day I’ll experience Skywalker’s life as I will no doubt have the opportunity to control an intelligent and autonomous vehicle with my biometrics, voice, and gestures while riding with my family to the movie theater playing chess with my grandkids, not yet a Wookiee.